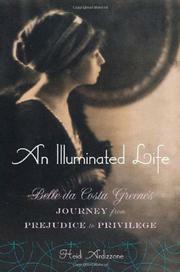 Thorough biography of the intriguing woman who organized financier J.P. Morgan’s rare books and illuminated manuscripts. Born in 1879 in Washington, D.C., Greene hailed from a genteel lineage of free African-Americans; in 1870, her father, Richard Greener, was the first black man to graduate from Harvard. Beautiful and dusky-skinned, she had passed since childhood as white (a subject also explored by Ardizzone and co-author Earl Lewis in Love on Trial, 2001). Greene had a scant three years’ experience at the Princeton University Library when she was referred to Morgan by his nephew Junius in 1906. She was not intimidated by the gruff ways of her famous employer, who charged her with making his new library preeminent. With Greene’s help, he would make spectacular purchases, such as a William Caxton edition of Thomas Malory’s Le Morte d'Arthur, and in no time she was enjoying invitations and European travel among the wealthy. In this high milieu, she met and fell in love with art critic Bernard Berenson (advisor to Morgan’s rival, collector Isabella Stewart Gardner), with whom she carried on a decades-long affair tacitly approved by his wife, Mary. Though Greene encouraged many other flirtations and affairs over the years, she never married, and she supported her mother and sisters her whole life. She inherited $50,000 when Morgan died in 1913, but continued in her role at the library under son Jack Morgan. He realized Greene’s dream of making the collection accessible to everyone by incorporating the library as a public institution in 1923 and naming her director. She retired in 1948 due to ill health, but continued to be a powerful force in the New York art world until her death two years later. The prose is workmanlike, but Ardizzone (American Studies/Notre Dame) makes an important contribution by bringing Greene’s little-known, culturally significant work to light.